There is still a part of me, trained by children’s nature books and the weight of expectation, that believes the seasons will progress in a fairly linear fashion, from winter to spring, onto summer and autumn. 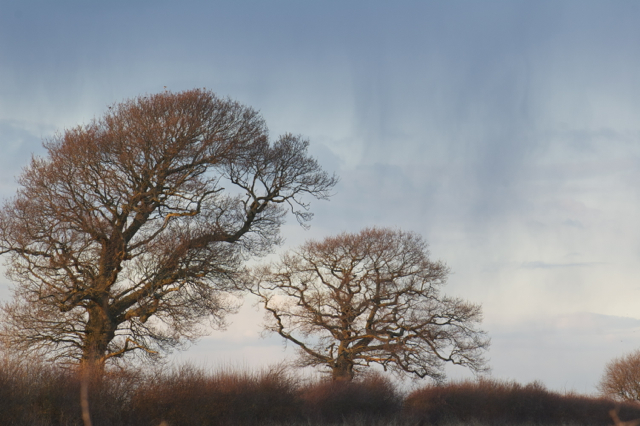 I’m not sure why this would be, as every year seems to follow it’s own rhythm which has little to do with our imaginings of glorious sunshine in summer, sparkling snow in winter and the soft sun and showers of spring. This year has been no exception as we have lurched from snow and frozen winds to bright sun, and back again, within the space of a few short weeks. Somewhere between the chills of winter and the energising opening up of Spring we find ourselves out foraging one day and snuggled up by the fire the next. 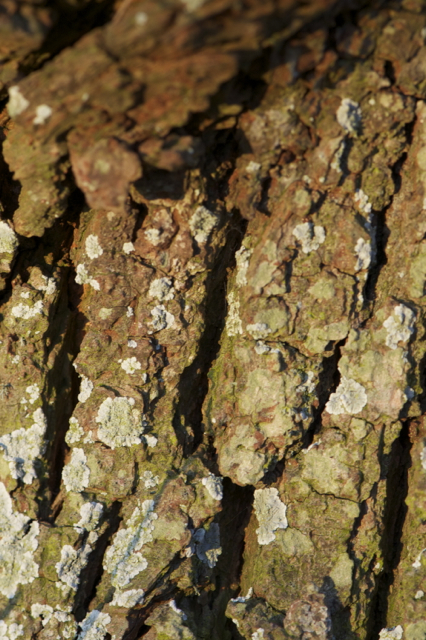 Though the trees are mostly still bare-branched and winter sleepy, you can almost feel the sap rising when you place your hand or face to their rough bark. 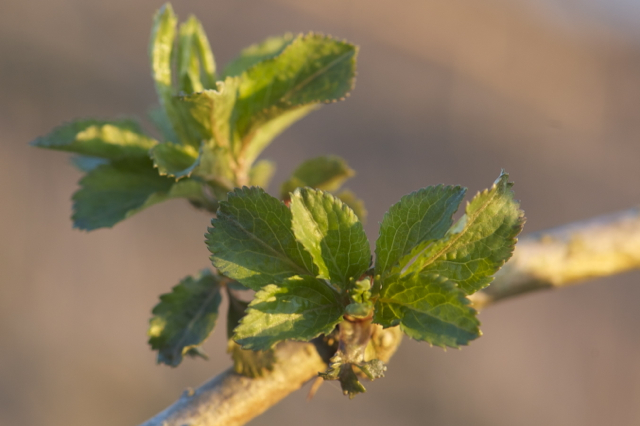 The lack of leaves at this time of year enables the light to fall undisturbed to the woodland floor and here begins the spring growth, working it’s way from the earth skywards as buds and new leaves begin slowly to appear. No matter what the weather is doing, this time of year always feels so full of magic and potential, as somewhere betwixt and between the holding of winter and the full thrum of spring, we sway, waiting for new life to begin. 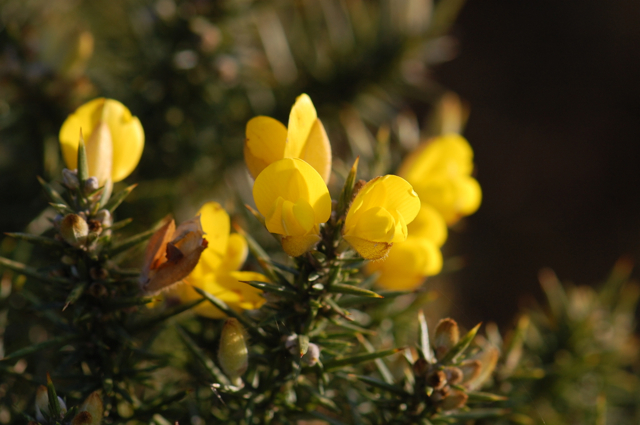 When the gorse is in flower, kissing is in season. 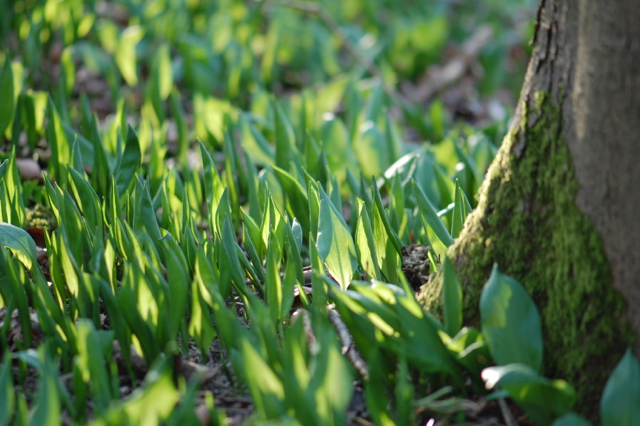 Young shoots of wild garlic made for a delicious pesto with hazelnuts and walnuts. Beautiful Eder, bursting into leaf. Great pics! 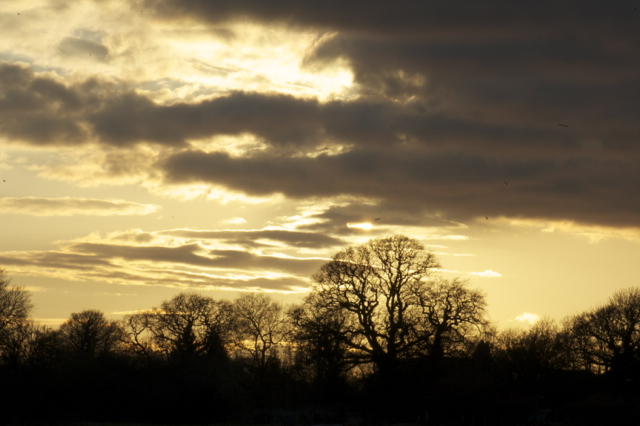 I especially like that one of the gnarled tree. It’s a beautiful root isn’t it! What beautiful pictures! They speak of new life, even as you say, the winter holds on still It is as if, just a tiny bit more introspection is needed, before the spring truly bursts free.. Yes it feels like it’s been a long time coming this year! Amazing pictures!! Wow. 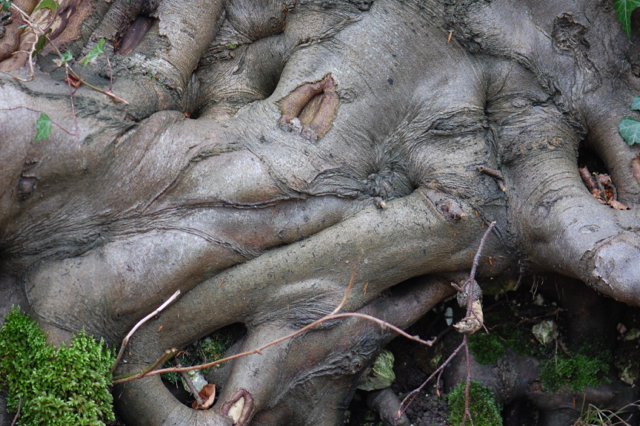 That big root of the tree (I am guessing it is gnarled root), one of the middle pictures, look so magical. It’s a bit gremlin-like isn’t it. 🙂 The roots curve down over a bank so you can really appreciate their shape and form. Lovely pictures! Spring is always a breath of fresh air. Yes it makes you feel so alive again doesn’t it! Beautiful photographs! A wonderful reminder of what is to come over here in just a couple more weeks. Thanks April, enjoy your last days of winter and your spring when it arrives! great photos and a nice spring preview, thank you!! 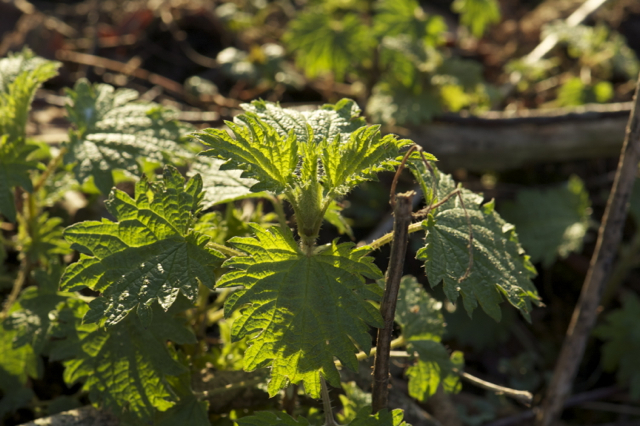 The elder is always one of the early heralds of spring that I look out for here too in S.W. France, those leaves always give me hope. It’s still one of my favourite posts ever I think! I couldn’t agree more about the changing seasons. One never knows what to expect here in Indiana! 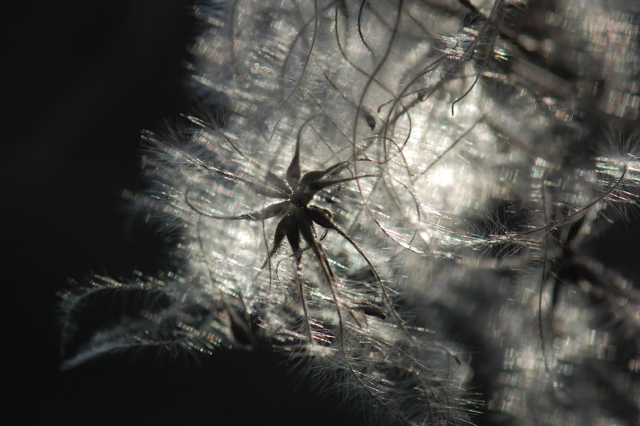 Your photos are beautiful and delicate. 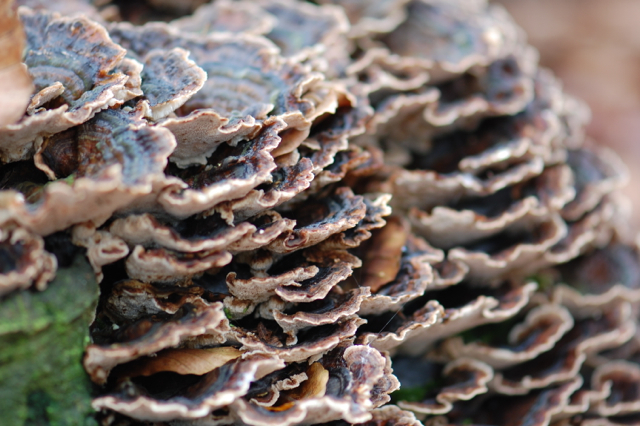 I think my favorite is the layers of fungus and moss, perhaps covering an old tree stump? Wonderful fuel for the artistic imagination. 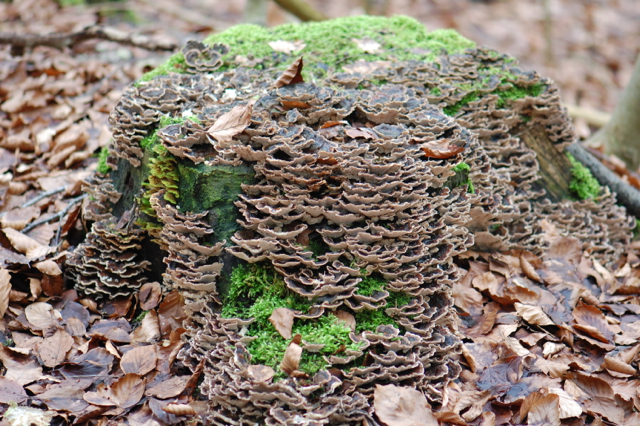 It is indeed an old tree stump. 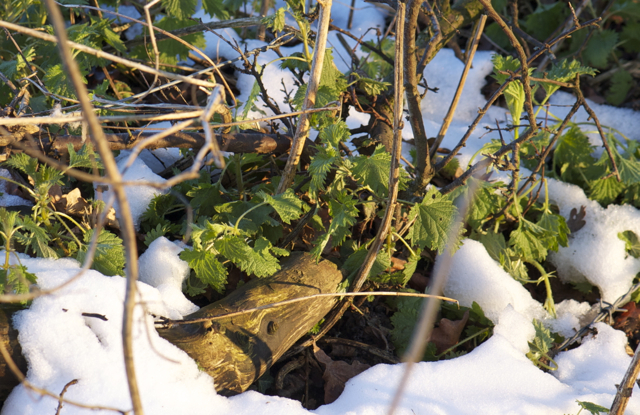 I like this one too, I love to see how new life transforms the old in the woodland. It is the same here, in southern Italy. We had very warm t-shirt weather days, all the almonds and cherries are covered in blossoms, then yesterday morning it snowed and today all is covered in ice, but the sun is shining brightly. I hope the snow hasn’t destroyed all the blossoms, they sound heavenly. Things never progress quite as we expect them to do they! Hope you are having some warmer days now. What glorious photos, and how well you write exactly what I have been feeling about this bumpy turning of the year’s wheel. 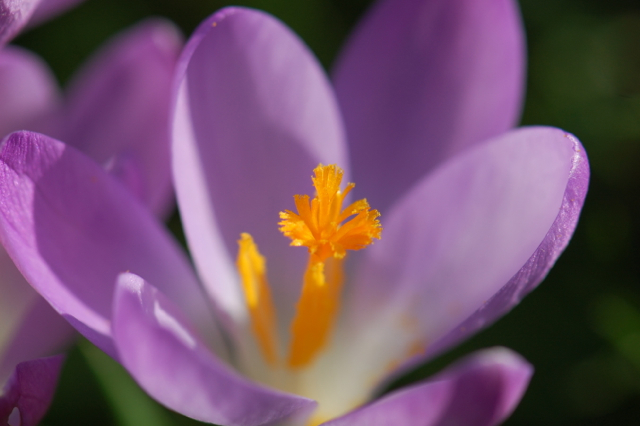 The ‘thrum of spring’ – a wonderful image! Thank you. We have a ray on sunshine here today at last! Hope it’s not too cold with you. We had similar weather last year. Unseasonably warm days in February, March and almost summer by April! In between, the snow fell and wind howled. Very strange. And this year it’s way too cold! (I’m in Montreal, Canada). Mother Nature has her own way of interpreting our seasons. LOL. 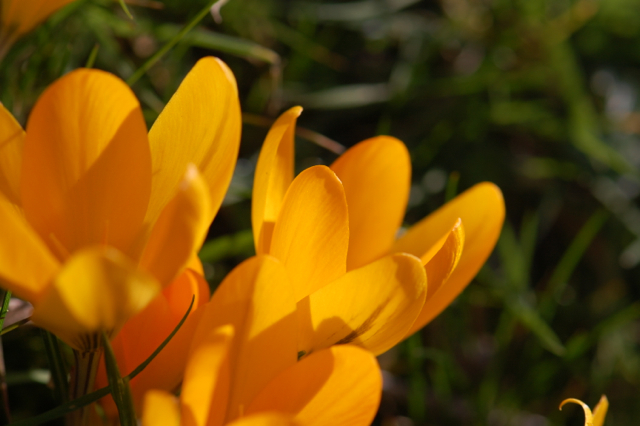 You’ve captured some lovely spring pics. I like the one of birds (crows?) flying towards their nest up in the tree. 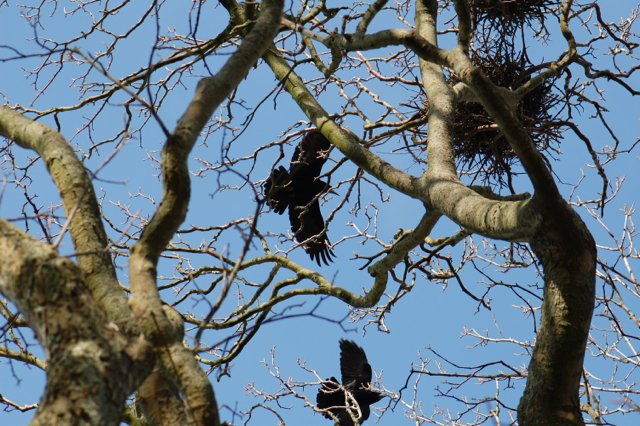 Without leaves, the nest can be clearly seen between bare branches. The backdrop of deep blue sky is beautiful! I know, we can never know what to expect from one year to the next can we! The birds are rooks I believe. Beautiful post and pictures! We still have snow where I live as well. I long for spring, for green things and warmer weather. It’s funny I was just thinking that perhaps its normal for the weather to be acting abnormal. Last year it was really warm at this time, which was also unusual. Beautiful post and pictures. This time of year does feel magical. It feels like a very creative time and I’m inspired to start new things. Of course there’s still a lot of snow here where I live in Norway. It’s very unusual to have snow here this long, but the seasons are never the same from year to year. Lovely, lovely! Looking at your photos made me long for the dramatic and long-awaited springs in my hometown of northern Wisconsin. I am in Oregon now and spring comes so soon. 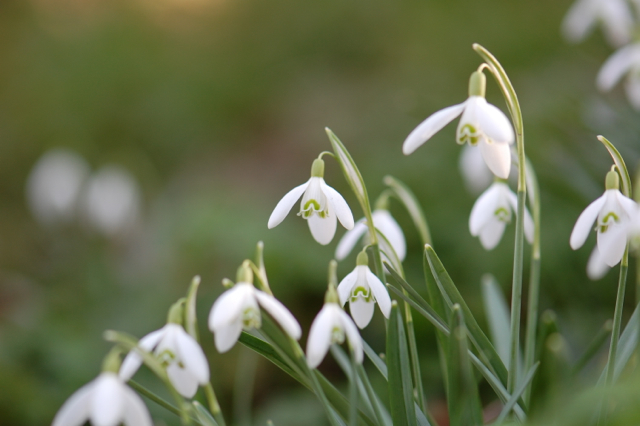 O particularly like your stunning photos of the snowdrops and the fungi. 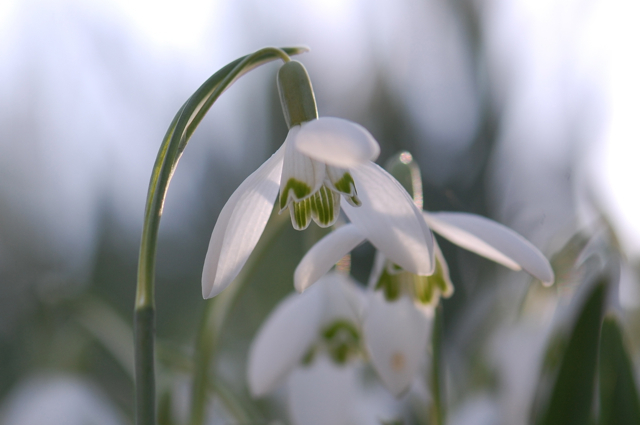 This year I fell in love with snowdrops, with their little green hearts and root beer scent. Lovely picis – you are certainly more advanced in the year than we are up here. I follow your blog happily as I used to live in Barcombe and it reminds me of my time there bringing up my kids 🙂 I’m now in Edinburgh. Do you by any chance have any bright ideas for getting very sticky labels off jam jars and bottles? After all these years I still find nothing works very well… thanks for any suggestions. Oh how nice, I have a friend who is a herbalist in Barcombe, it’s a lovely village. 🙂 Edinburgh is lovely too of course! Sticky labels on bottles is the bane of my life! All I do is soak them and scrape of what I can, then use lemon juice or vinegar, or turps for really stubborn ones, to wipe off the residue. It works but is a faff – I long to find labels that peel off! Thanks 🙂 I have tried really hot water too, which helps a little. Shall try turps or white spirit as well.